What Is Snickerz (Snickers) Juice Like To Vape? If you have ever eaten the popular Snickers chocolate bar then you are going to love this hazelnut, praline and chocolate marzipan snickerz vape juice blended perfectly by The Vape Shop to match the real thing. When you inhale your mouth will fill up with the nutty chocolate bar flavour. In the foreground is the smooth milk chocolate flavour mixed wit the hazelnuts and nougat followed by the praline flavour that accentuates and adds to the taste. The exhale produces just as strong a flavour as the inhale and the exhaled vapour has a pleasant chocolate nutty aroma. 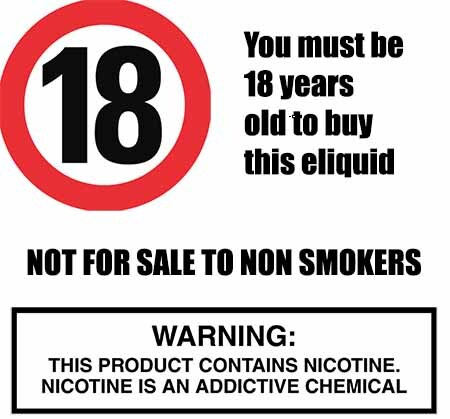 As a UK premium e liquid producer The Vape Shop operates strict vape liquid production guidelines which includes making sure that all our own brand vape juices DO NOT contain: - Diacetyl, Acetoin, or Acetyl Propionyl, refined sugars, protein, genetically modified ingredients, animal ingredients of any kind, preservatives, sweeteners, or colours. Yes it is! As an ethical manufacturer we make sure all our sweet e juices are gluten free and suitable for vegetarians, and vegans. You can rest assured when purchasing this e liquid flavour that it contains only the purest ingredients.